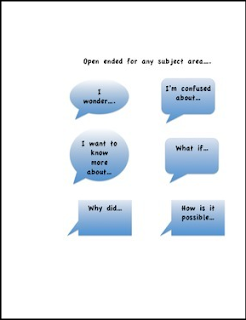 Here are some questioning sentence stems. I put them on popsicle sticks for younger students or ELD learners to help prompt them when using the reading strategy of questioning. I made a set for use with any subject and a set for scaffolding text based discussions. Enjoy!